SKU: 618-1. Category: Bedroom Door Names. Tag: kids signs. 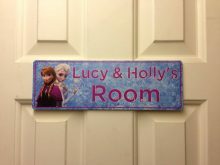 These signs are made using a light PVC material. They are 12″x 4″ in size. 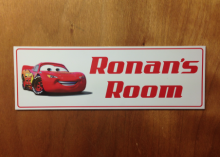 These signs come with double sided sticky tabs to attach easily to your door.